A high profile sportsman has been visiting Pool Academy to carry out workshops to boost self-confidence. 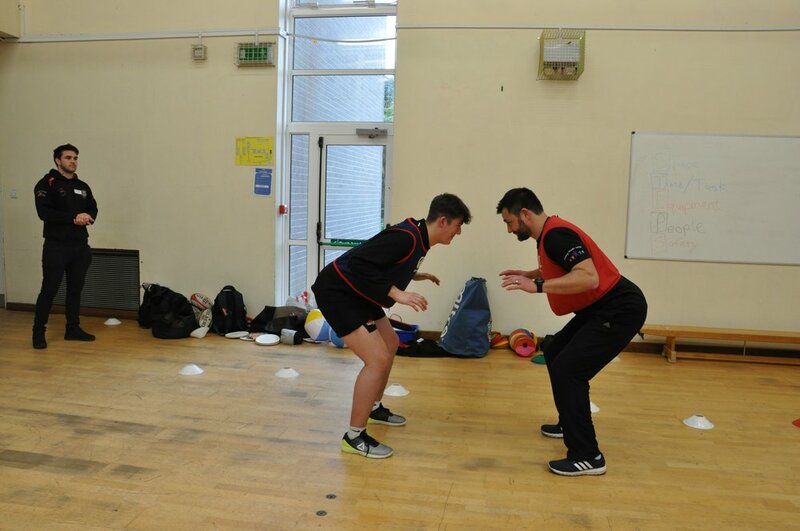 A selection of students has been taking part in ball games, problem-solving tasks and other activities with Thinus Delport who is a South African international rugby player. There are a number of different sessions that will be taking place over a number of weeks throughout term time. Nicola Grenfell, Pool Academy’s Career Advisor, said: “The sessions are going really, really well. “They are being run to help motivate students and help them with their self-confidence. “There is a lot of team work activities and problem solving using sports. The sessions are being run with high profile sport personalities. “We are privileged to have elite sports men and women coming to Pool Academy. “The students taking part are a mix of girls and boys and they are all enjoying it. “At the beginning there were students who wouldn’t even touch a ball but now we can see them becoming competitive in sport. Mr Delport said: “It is great to see the group full of energy when taking part in the activities. Every week we see a development of the personal skills we are working on. 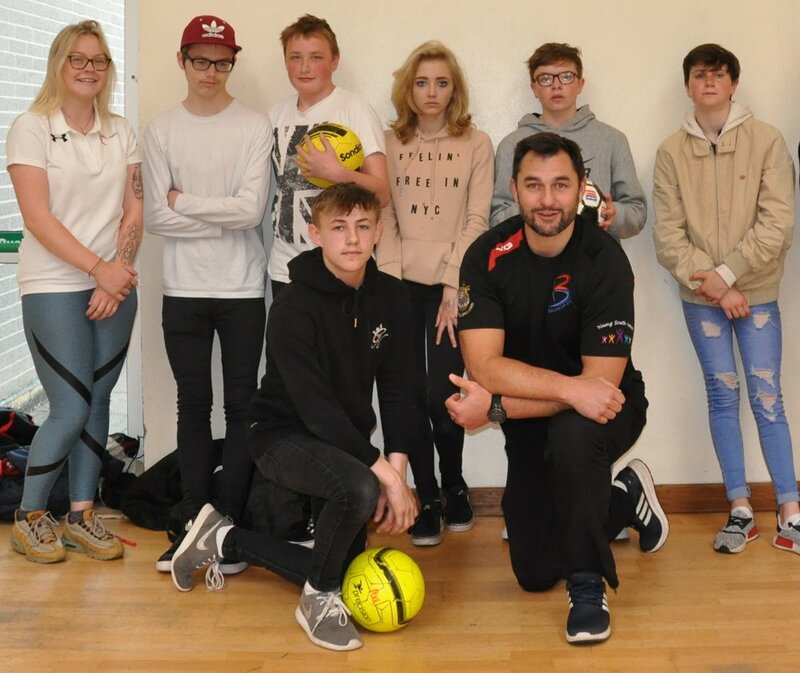 Photograph caption: Thinus Delport, international Rugby player, with students from Pool Academy.